The Deathadder has been around for many years, it was first released late 2006. Over the years it has been on the market it has gone through a number of upgrades and cross branding releases. The latest version is the 2013, which continues the evolution of the series. For the 2013 the most obvious upgrades have been the sensor, as well as change the lighting scheme. The shape has not change a noticeable amount to its predecessors. The overall shape is comfortable to hold, with a nice weight to it. Its no wonder this overall design has lasted so well in the market place. There have been many suitors that want to claim the Deathadders spot, and become the default mouse for many general gamer. The overall placement of buttons should be suitable for the masses. The buttons provide a reassuring feel, a clean click to every press. I never had any issues getting a click registered, even when gaming away at it repeatedly. The side buttons are easy to locate and distinguish between even tho they do not have any texture or noticeable features on the surface. 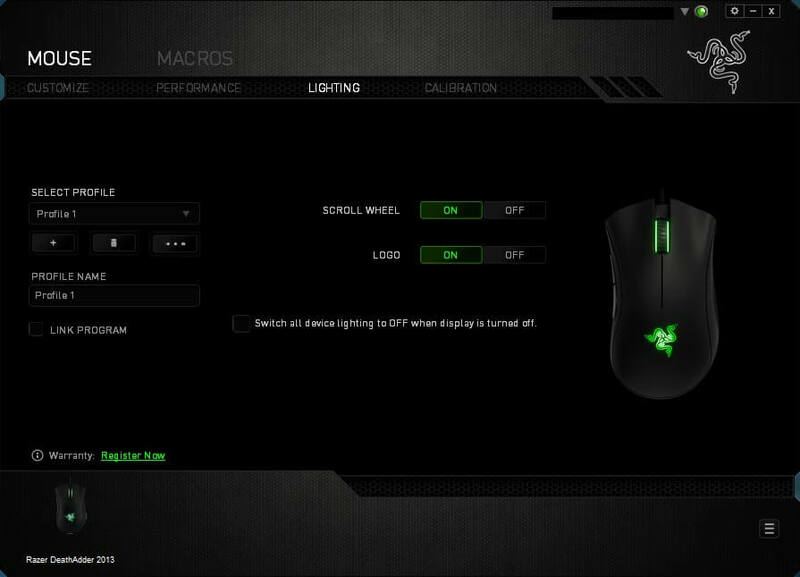 The only strange thing I have come across while spending time with the deathadder is the lack of a dedicated DPI button. The marketing material does mention “On-The-fly Sensitivity adjustments”. 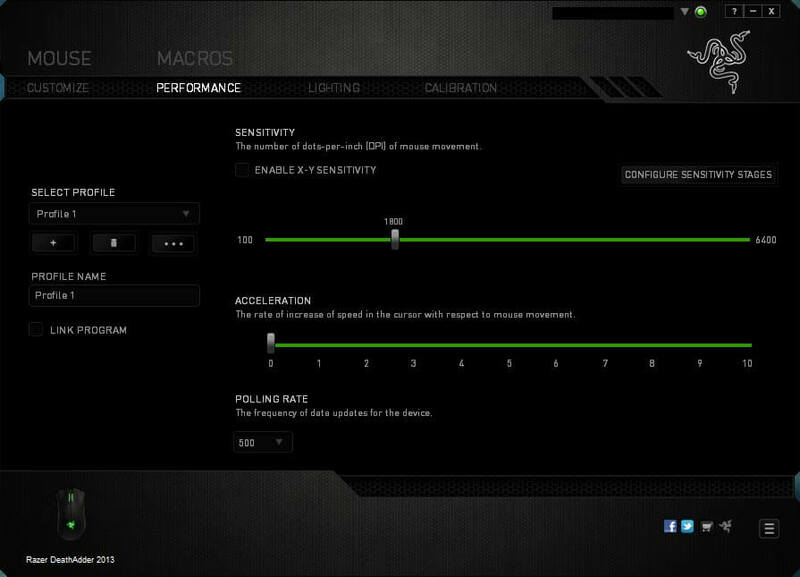 This is true in a way, in the Synapse 2.0 software you can choose to change the function of any of the buttons to allow you to change up or down the sensitivity. 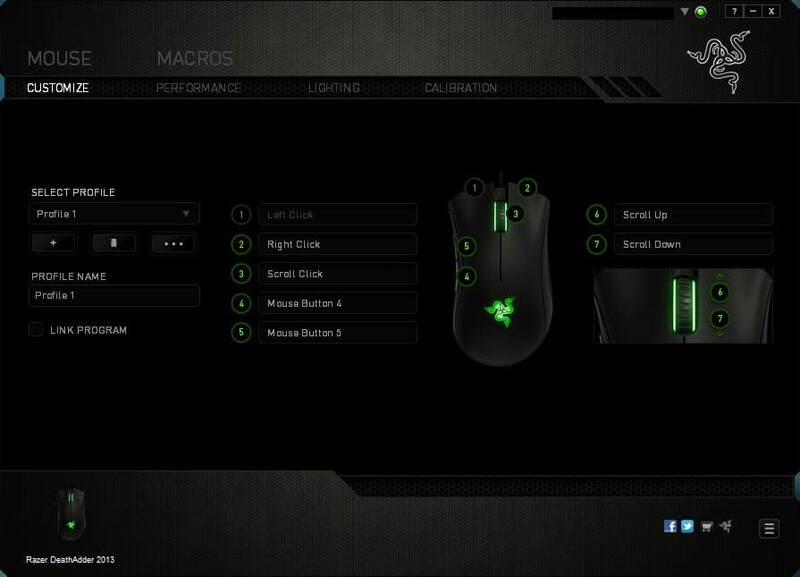 You could create a gaming profile and configure the scroll wheel to change up and down the dpi. This could be seen as a good thing as it does let you choose how you do the change, but reduces the number of buttons available for other things, especially while in game. I don’t often change the DPI while in game, but it sure does come in handy when you jump into a tank in battlefield. The textured side grips have a nice feel to them. The thumb grip does feel less grippy than the other side. This could be due to the concave nature of the recess that the grip site in, which reduces the gap between the tops of the textured surface. The other side does not suffer from this as it has a convex shape, which enhances the grip. 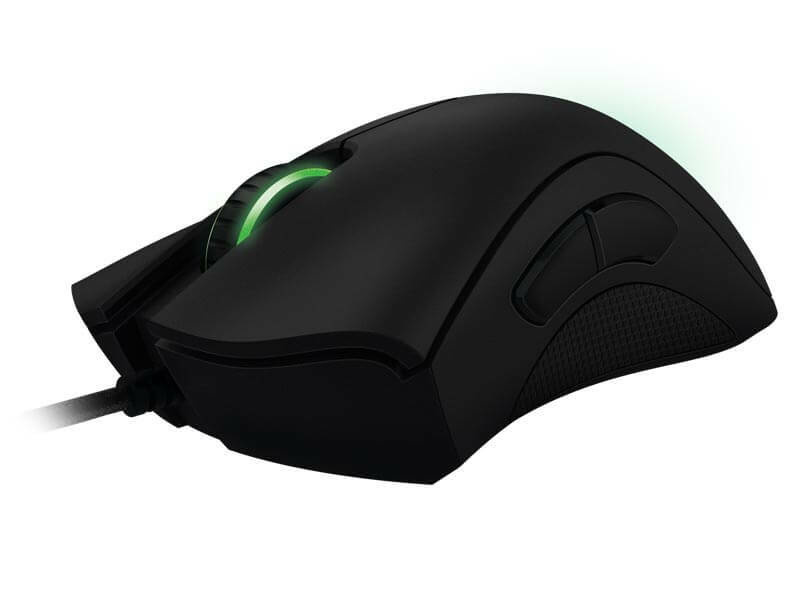 The scroll wheel is like all the razer devices I have used thus far, it has a nice well defined stepping, and the rubber on the wheel has the same pattern as the many of the other devices as well. The main top of the mouse including the buttons has a nice rough texture to it, which I really do like. 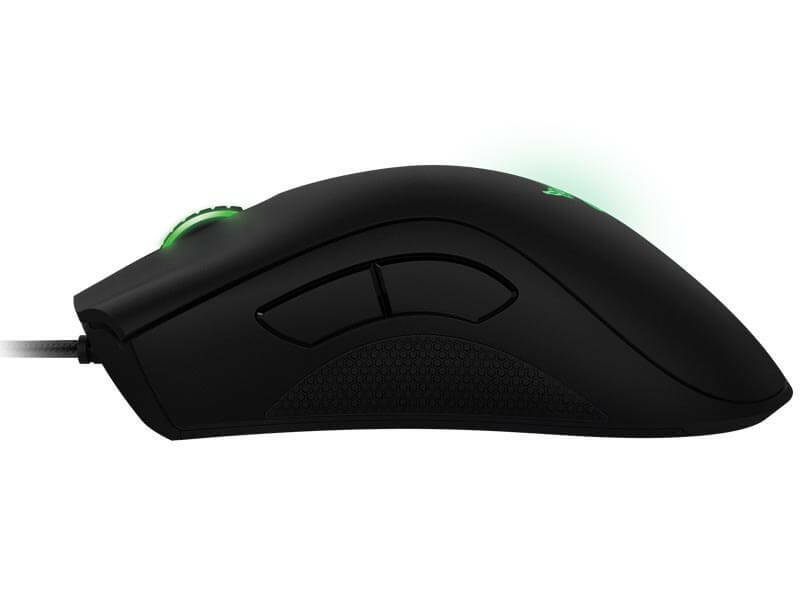 It adds more grip to the top then many of the soft rubber touch surfaces that are commonly used on other mice. 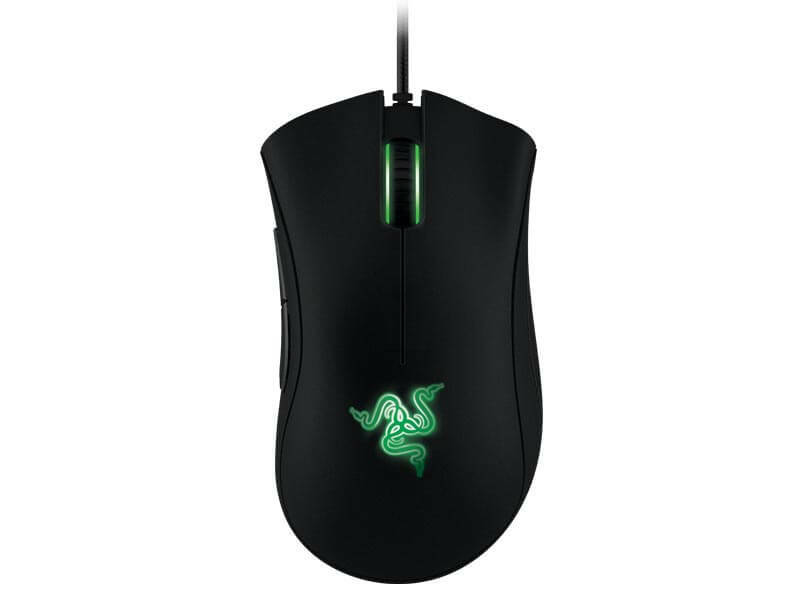 This is one place I think the Deathadder can improve, even though its a solid design. The pads on the bottom of the mouse are very small. This might help to reduce friction but could also reduce the lifespan of the pads. Thankfully razer sell replacements on their web site. So if you manage to wear them out sooner rather than later you can always replace them. The rubber side grips are well recessed in to the mouse so they aren’t likely to be dislodged or peel away. The same is true with the rubber used on the mouse wheel. It seems very well secured to the wheel and the edges that meets the wheel itself blends cleanly into the wheel. 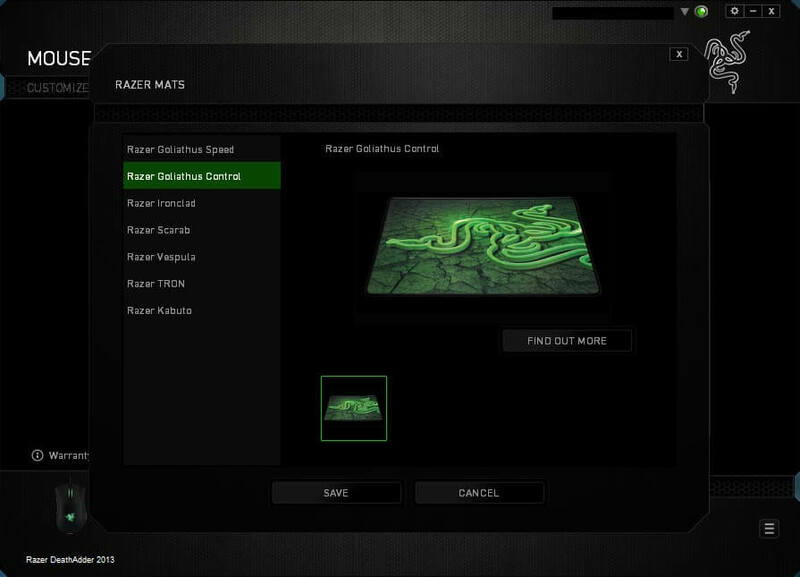 The synapse software is not essential for the Deathadder 2013, the mouse will work perfectly fine without it. But if you want tweak the sensor or adjust the DPI you will need to install it. 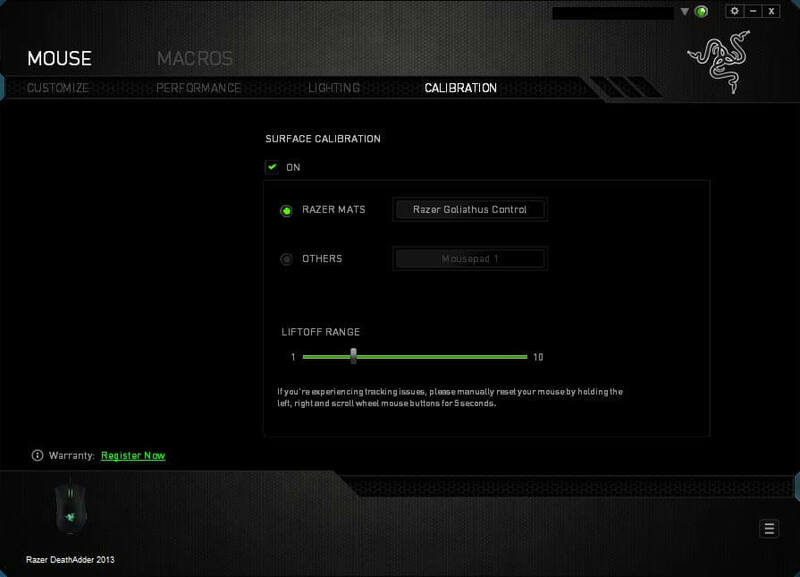 And as with all the current generation of razer mice it uses the Synapse 2.0 software. 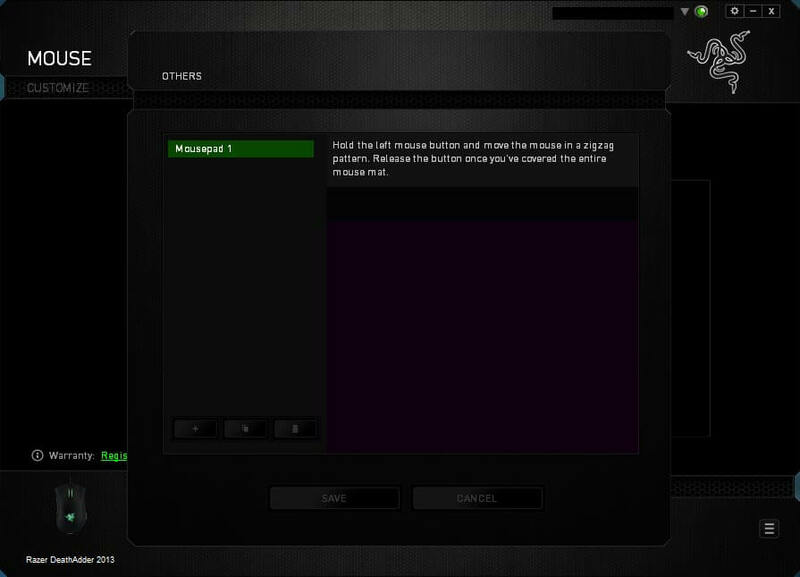 For this review version 1.18 of synapse 2.0 was used. I'm pretty happy with the Deathadder 2013, its at a hard to beat the price point. 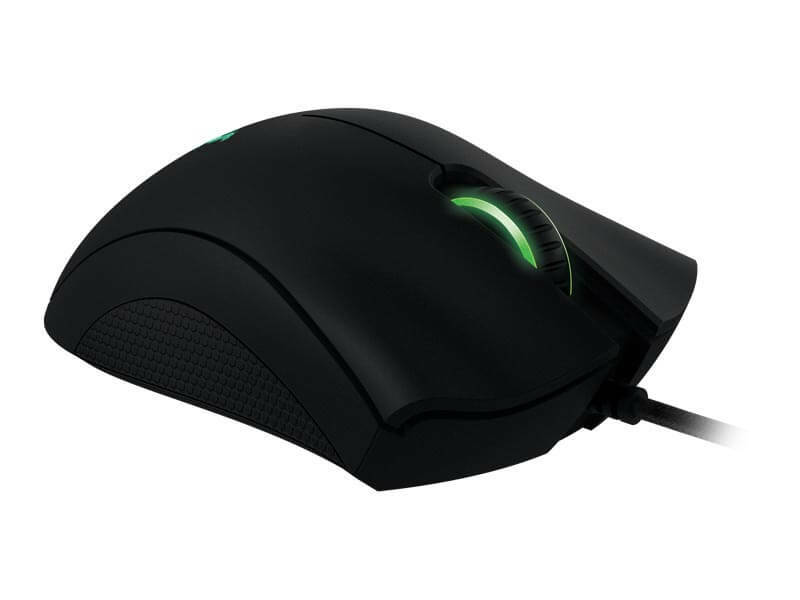 There are a few other mice out on the market that come in under the price point but few offer the same level of features as the Deathadder.